(Cannes, France) Film acquisitions is one of the biggest topics around the Cannes Film Festival as hundreds of filmmakers flood the market in search of distribution deals for their various projects. 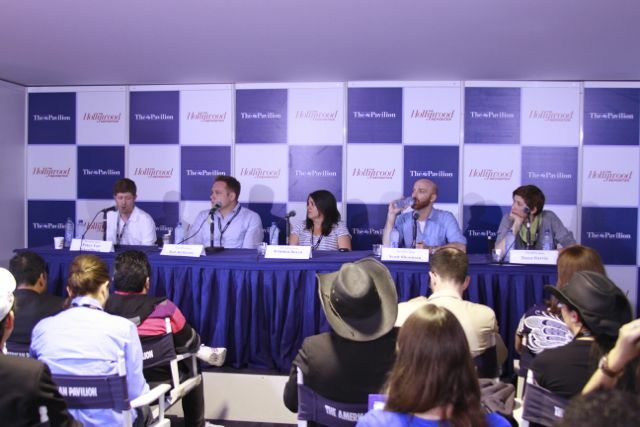 Industry tastemakers Scoot Shooman(CBS Films), Peter Van Steemberg (Magnolia Pictures), Arianna Bocco (IFC), and Rob Williams (Indominia Media) offered a wealth of information about their journey in acquisitions to American Pavilion guests. The panel was moderated by Dana Harris, EIC of IndieWIRE.